It is not the strongest who survives or flourishes. We, as a specie, are the clearest example of that. We are not the strongest, we simply are the most flexible. And that is what it takes to not only survive but also flourish. Just like the trees, if you don't want to be a mosaic of scars. if you don't want to be broken repeatedly; then you have to learn to forgive, forget and move on easily. You'll have to be flexible. Things won't always go as planned; people won't always keep to their words to you; situations you don't expect will come up and there will always be people to blame. Depending on your personal principles, you can choose to play the blame game or not. I don't see anything bad in letting someone else know what he has done wrong. What is more important is to forgive, forget and move on; and the sooner the better. When you forgive, forget and move on; you don't tie down your energy and mental resources on negativism. There's no wasting of time and resources on trying to make someone else pay for his mistake, by forgiving. You also become objective and willing to use the best at your disposal regardless of the misfortune they've caused you in the past. That is what forgetting is about. You have a clear mind and rid yourself of the debris of past failures and misfortunes. You move on. To make the most of this year you will have to let go of any negativism (forgive whomever you have grudges against), make the most of all the resources within your reach (forget), and rid yourself of unhelpful debris (move on). 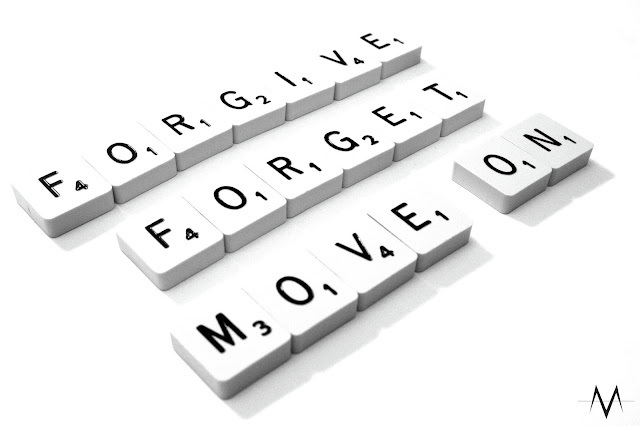 Forgive, forget and move on. Thanks a lot for the encouraging comment! Thanks! Glad you found it an interesting read. well for me. Thanks for the tips! Sure, it will! Just give it a try. Be open to mistakes and retrying. Cheers.